Celebrate equality with us during the 2015 Utah Pride Festival. The night is sponsored by us and our DAMN THESE HEELS program, and our very own Education Manager Mariah Mellus will judge the collective pageant. You won’t want to miss special guest judge KIM CHI, so plan on joining us! The Bad Kids Collective bring you their THIRD annual QUEER talent search after 2 months of preliminary rounds, we’ve found 10 of SLC’s most stunning performers & now they’re bringing you to a land of HYSTERIA – Where just about anything goes (we’ve read the decency laws, don’t you worry). The competition begins at 9pm SHARP. 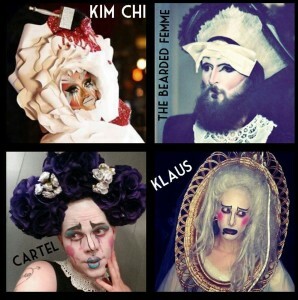 Chicago-based drag sensation : KIM CHI. MEET & GREET + PHOTOS with Kim Chi will ensue after the performances! Join us as we sponsor Salt Lake City Weekly’s 6th annual Miss City Weekly pride pageant. As the first of it’s kind in Salt Lake City, the pageant highlights the most talented and outrageous drag performers in Utah as they compete for the crown and title of Miss City Weekly 2015. $6 in advance and $10 at the door, get your tickets now! Our Executive Director, Elisabeth Nebeker and our Artistic Director, Patrick Hubley will represent the Utah Film Center at the Utah Pride Festival Grand Marshal Opening Ceremony with Janet Mock. Janet Mock, 2015 Utah Pride Grand Marshal. Simultaneously, we’ll be set up at Bar X from 6-9pm with information about our 2015 Damn These Heels Film Festival. Join us for a drink, grab some info, and if you’re walking in the 2015 Pride Parade with us pick up your official DTH Pride t-shirt. Get your 2015 Damn These Heels Film Fest info at Bar X, Fri, June 5, 6-9pm. 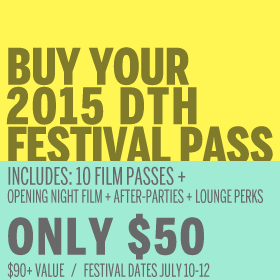 Stop by the Salt Lake City Weekly booth for information about our 2015 DTH Festival…we’ll also be walking around the fest checking out all of the offerings. Some of our staffers are running in the Pride Day 5K Fun Run at 9am. Immediately following the downtown run we’ll march in the official Pride Parade wearing our Damn These Heels t-shirts. If you’re not marching with us be sure to wave, grab one of our stickers, or get a special temporary tattoo! 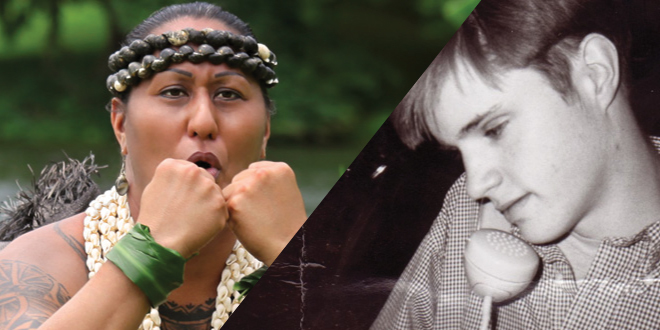 Kumu Hina will screen at 1:30pm & Matt Shepard is a Friend of Mine will screen at 3:30pm. Both films are free and open to the public and will be shown at the Salt Lake City Public Library. Entry to the Pride Festival is not required.